The real strength comes from its exclusive triple bridge configuration which provides a tremendous increase in clamping force over other twin bridge calipers. Efficient­ designs further maximize weight savings: material is properly placed to fortify all load bearing points. 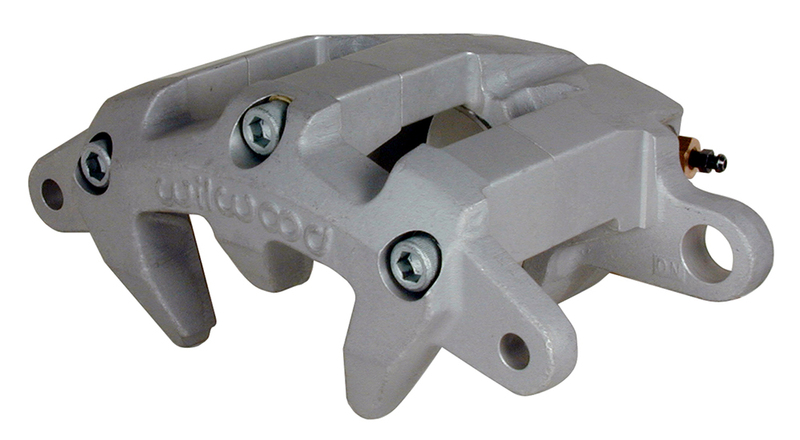 Each caliper model has its own unique casting: 2.38” diameter piston calipers incorporate a smaller external contour than the larger 2.75” diameter piston calipers. Any material that did not contribute to strength, was eliminated for weight reduction. The GMIII?incorporates standard Wilwood features like stainless steel pistons for increased fluid protection and high temperature seals for controlled retraction which provides improved driver feel. 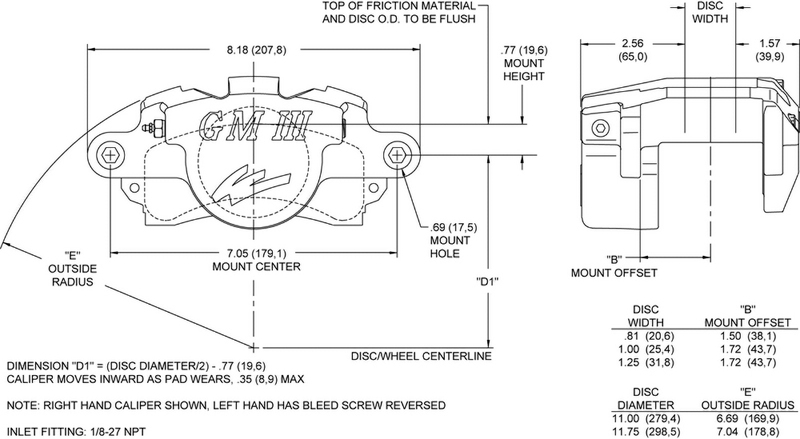 The GM III for 1.00” width rotor is machined and fitted with OEM type slide pin vibration dampeners for a direct OEM caliper interchange. These tight grained, high density aircraft alloy aluminum castings are fully machined, assembled and tested in-house by fully trained technicians at Wilwood to assure top quality and peak performance.